Great for Metal, Punk, Garage, Thrash etc. If you're the kind of player who wants aggression and heaviness in your tone, then the Invader SH-8 Bridge pickup from legendary manufacturer Seymour Duncan, can satisfy your needs. This pickup comes in a zebra colour. 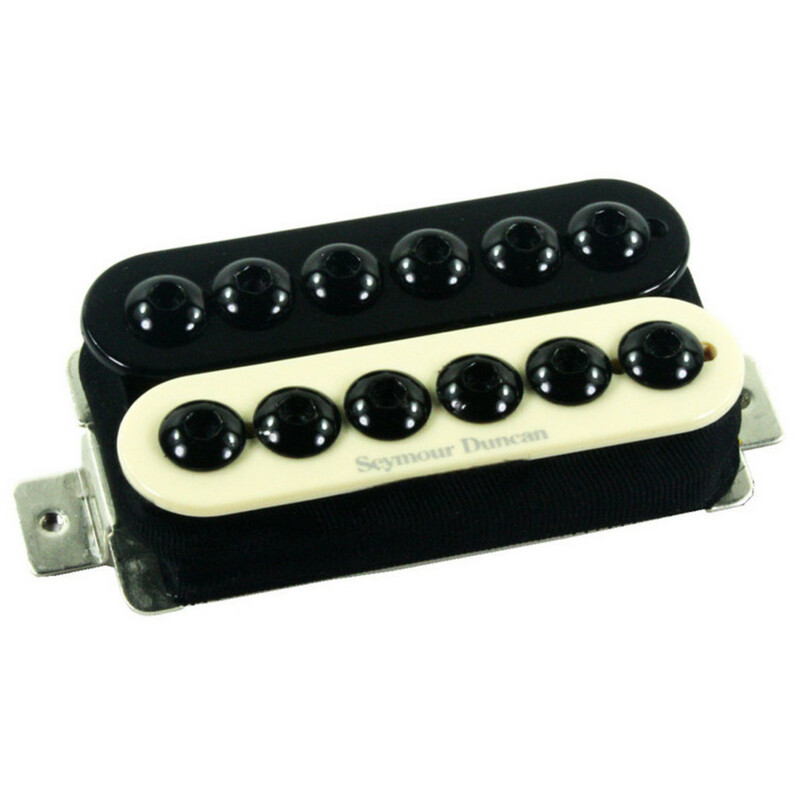 The Seymour Duncan Invader SH-8 Bridge pickup is an ultra high output humbucker, designed for the aggressive style player who loves their metal, punk, garage, thrash, and other heavy rock styles. It boasts famous players like Synyster Gates (Avenged Sevenfold), Troy VanLeeuwen (Queens of the Stone Age), Mike Chlasciak (Halford), Whitey Kirst (Iggy Pop), Joey Roxx (Burn Halo), Rick Jackett (Finger Eleven), Will Adler & Mark Morton (Lamb of God). This passive pickup comes in a zebra colour and is built for heavy tones, with a wide magnetic field which pumps power into the amp for a rawring sound. It boasts a combination of three ceramic magnets, over-wound coils and twelve black oxide cap screws which give it its power. You can also find a neck position version of the SH-8 Invader on Gear4music.com. Conveniently, the SH-8 works well for all instruments. Its wide pole pieces work for both humbucker and Trembucker string spacing.